The Crystal of the Day for Thursday 14 November 2013 is Lodolite. Lodolite is a type of included quartz crystal with inclusions of many possible colours and types, often having the look of gardens, landscapes, or underwater scenes. Thus, lodolite is often called garden quartz, landscape quartz, or scenic quartz. It’s often used in meditation practises. Another metaphysical use of lodolite is to bring energies to effect manifestation of one’s desires. Lodolite is also said to enhance communication with beings on the spiritual plane and heighten one’s spiritual energies. It is used mystically to increase ESP and bring knowledge from your past lives. Lodolite is said to bring loving energies and energies of gentle strength. Mystically and in crystal healing, lodolite is purported to be an excellent healing stone bringing strong healing energies and energetic shifting so that healing will occur. 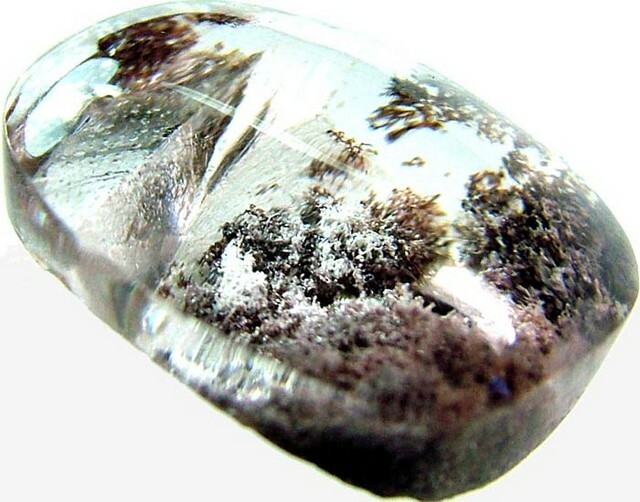 Lodolite is associated primarily with the crown chakra. Lodolite AKA Inclusion Quartz is helpful for enhancing ones sensitivity to energy. This quartz has a fantastic healing vibration and has the qualities of clear quartz plus the additional vibrations of their inclusions. this makes Lodolite a very valuable tool for Reiki healing sessions. Lodolite is Clear Quartz with inclusions of many different elements mainly Hematite, Chlorite, Feldspar, and Epidote. Lodolite is helpful when used in meditation practises as it assists one with getting into the meditative state. Clear Quartz is used for almost every metaphysical purpose, including healing, chakra opening, communication with guides, past-life recall, polarity balancing, enhancement of meditation and dreaming, attracting and sending love. Clear quartz is such an indiscriminate amplifier of whatever energies surround or enter it. This causes issues as it can collect and unusually large amount of psychic debris. This makes it necessary for one to periodically cleanse the crystal. Quartz is capable of dispersing white light into the seven spectral colors. Quartz helps each of us find our own inner light that connects us with the One Light. Magnifiers of psychic and healing energies. Used to help focus and amplify one’s thoughts or intentions. Hematite is used to harmonise the mind, body, and spirit. 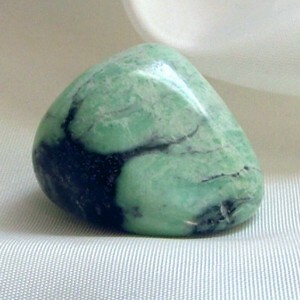 This stone helps to boost self esteem and is useful for timid or shy people. It enhances psychic awareness. Used to cleanse the kidneys. Epidote is useful for opening yourself and others up to spiritual growth, particularly if confused emotions or other such lack of clarity is getting in the way. The Crystal of the Day for Monday 11 November 2013 is Variscite. Variscite is a fairly rare stone that occurs in varying shades of green. Also known as Utahlite, it is commonly found in Utah and Nevada as well as Queensland, Australia. This stone is known for it’s remarkable soothing and clarifying properties, as well as it’s ability to align and balance the connection between the Light and Physical bodies. promotes courage, balances through simplicity, and helps to release unwanted habits. Variscite is used by healers to relieve stress, to enhance higher brain functions such as learning, logic and reasoning and to help in finding self acceptance.